Here’s an interesting premise: Aliens invade and capture Earth. Life for the most part carries on, although it seems that the population is now divided in two distinct groups – those that helped the aliens, and those that continue to oppose them. That seems to be what’s happening in Captured State (no, not a reference to the Zuma years), a new alien invasion movie starring John Goodman (The Big Lebowski). You won’t really be able to tell from the trailer that there are aliens involved, apart from the great reveal at the end when it becomes clear that this is not just an oppressive police state locking people up. The movie takes place in the suburbs of Chicago ten years after the invasion, following role players on both sides of the divide. 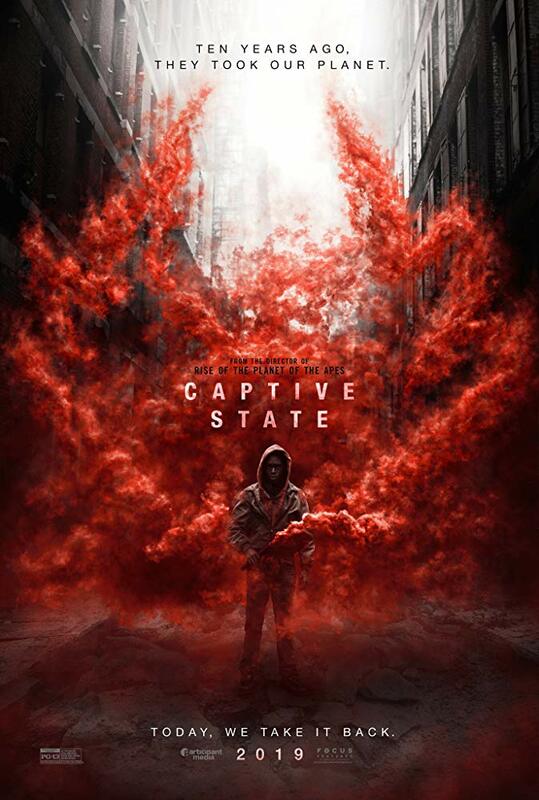 Captured State is directed by Englishman Rupert Wyatt, best known for Rise of the Planet of the Apes. It also stars Vera Farmiga (Up in the Air), Jonathan Majors (Hostiles) and rapper Machine Gun Kelly (The Land). This looks like one movie that might be worth a shot when it debuts on the 12th of April next year. Not many alien invasion flicks have explored what happened afterwards, so Captured State could perhaps set a new trend. Hit play below to see if you agree.